I am often asked what distinguishes an honors class from a non-honors class. There are many ways to answer this question, but one characteristic we have emphasized in our program is the degree to which students have ownership over what happens in class. In the Invitation to Inquiry and Capstone seminars, students are responsible for much of what takes place each term. For instance, they choose their individual research questions in Inquiry and their group research questions in Capstone. 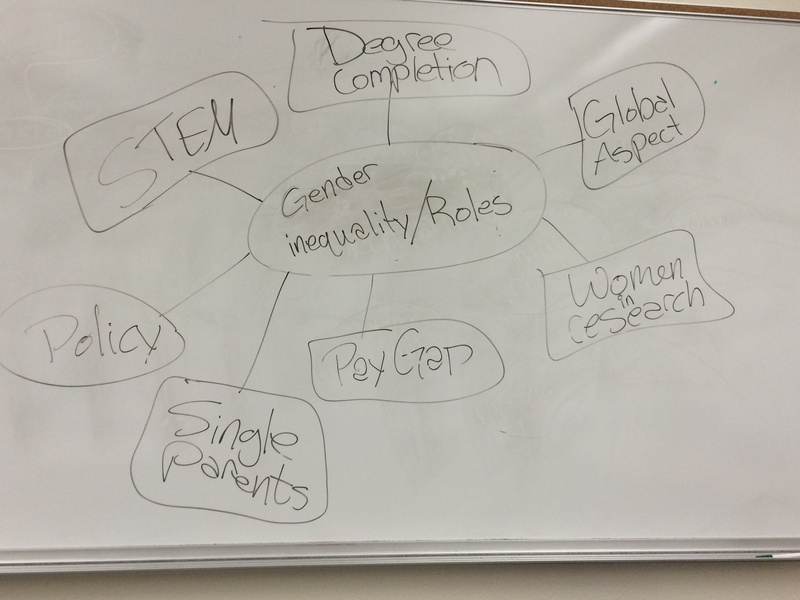 This year’s Capstone students created idea maps when narrowing down their topics. 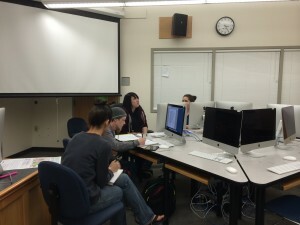 Capstone students Maria Sullivan, Mike Dann, Dakota MacColl, and Brandi Tekell in an early group-work session. In both seminars, students discuss how their learning should be assessed and the rubrics we use are created based on their decisions. Also, each year we revise the seminars based on student feedback and suggestions. Another way in which students impact honors courses is through the ePortfolio requirement. One of our ePortfolio leads, Sarah Lushia, teaches the honors section of WR 122, and she built a substantial ePortfolio component into her class. Last term, she invited several former students to coffee. For three hours they discussed the ePortfolio assignment and general guidelines, determining how these could be improved. She then made the changes they had discussed, which impacts how students in her class will increase their learning through the ePortfolio assignment and how all students in the program will benefit from this requirement through changes to the general guidelines. We have extended the student ownership and input that takes place in the classroom to the administrative level, as well. As noted in a previous entry, the Honors Leadership Team included in its charter the requirement to have a student member, and our first student member, Cheyne Dandurand joined the team. Cheyne is currently creating a document outlining the specific responsibilities for this position. 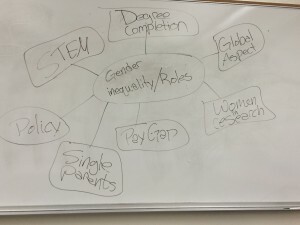 I’ve mentioned these CLOs in other blog entries, but here I want to discuss the honors students participation in a CLO workshop held last month. Tricia Lytton organized a panel of students who could share with faculty the ways in which they have engaged the CLOs and the impact this engagement has had on their learning experience. Cheyne, Mike, and Dakota each presented on the panel and then answered questions. Tricia had a scheduling conflict, so I moderated the panel but after all of the preparation Tricia and the students had done, little moderation was needed. Mike recently started a blog as part of his ePortfolio, and he discusses the panel in his first post. I’ll end this entry to my own blog with Mike’s voice about his panel experience. This entry was posted in Core Learning Outcomes, ePortfolios, Seminars, Uncategorized and tagged Cheyne Dandurand, Core Learning Outcomes, Dakota MacColl, ePortfolios, Mike Dann, Sarah Lushia, seminars, Tricia Lytton on May 5, 2014 by Ce Rosenow.